Are you looking for water purification systems? Everyone wants high quality and purified water for drinking, showering, cooking, and laundry. Your tap water might contain impurities from multiple sources, such as industry, agriculture, human and animal waste, as well as other naturally occurring contaminants. If your water is polluted, you may notice that it is cloudy, or it has a bad smell or taste. But not all contaminants can be seen, tasted, or smelled. 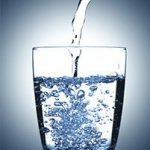 Investing in a high-quality water treatment system will give you the confidence that the water you are drinking is not only healthy and pure but is also aesthetically appealing. With years of experience and thousands of customers across Florida and internationally, you can count on us to supply the best quality watermaker products and services. Sea R.O. Watermakers is a one-stop-shop for all your water treatment and water purification needs. We assemble, install, and service various water treatment products in both residential and commercial areas. We design and develop innovative products aimed at tackling water quality problems across Florida. Our products are designed to provide water purification solutions for river water, well water, and municipal water. Our watermaker applications range from water softeners to whole home water filtration systems as well as under-the-counter drinking water filters. You can contact us for your home or commercial water treatment systems installation, repair, and service, we will work with you to solve all of your water purification needs. We distribute a wide range of water purification products and offer multiple services for both residential and commercial areas. A homeowner may face many types of water issues. At Sea R.O. Watermakers, we have years of experience and expertise towards solving these issues efficiently. Assessing your water issues is our specialty at Sea R.O. Watermakers. We specialize in water conditioning and water purification both for private and municipal water treatment needs. With the use of latest and innovative technologies, we can develop customized water filter solutions that range from home water filtration to commercial water treatment. At Sea R.O. Watermakers, our innovative whole home water filtration system is designed to get to the root of your water issues and make your water clean and crystal clear for all of your needs. Our systems are specially designed to transform your home water to a clean and highly refined water providing you and your family exceptional health and wellness benefits. Our whole home water filtration system will handle all the water issues that you can face with the source of your water (private or municipal well water). Our water purification products and systems are designed to solve issues such as tannins (staining issues), water hardness, bad taste, cloudiness, odors, corrosion, and discoloration. Sea R.O. Watermakers offer high-quality water purification systems and water treatment services with decades of experience. Our water purification systems are designed for removing many water contaminants, such as iron, nitrates, sulfates, lead, arsenic, chlorine, organic compounds, and microbes. 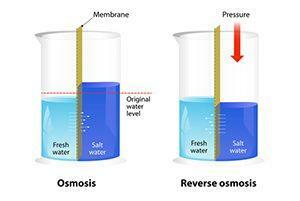 Our water treatment solutions will provide safer and better-tasting water for your home. For any question regarding our products and learn more about our Water Purification Systems give us a call at 954-527-5282. List of our products HERE. DIY Watermakers – Are they a good choice? 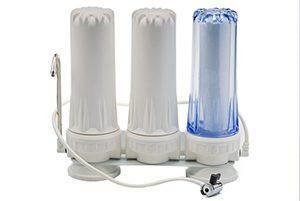 Should I Get a New Whole House Water Filtration System? 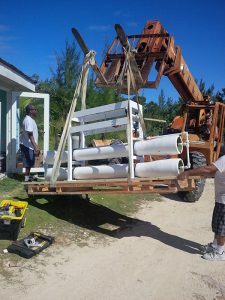 Sea-R.O., Inc will provide the very best marine watermaker and water filtration system for your project at a competitive price. We specialize in total system design for island hotels and resorts, residential systems, ships, yachts, and boats making clean water. There are two core reasons to “Do It Yourself”, 1.